Badminton Asia Regional Umpires Training Course (South & West Asia) was conducted at Pakistan Sports Board Islamabad. The course is being held in conjunction with the Pakistan International Series – Badminton tournament to be held from 9 to 12 November 2017 in Islamabad, Pakistan. The course organised by Pakistan Badminton Federation was inaugurated by Miss Goh Sook Fun (Senior executive for Technical Official Badminton Asia). Miss. 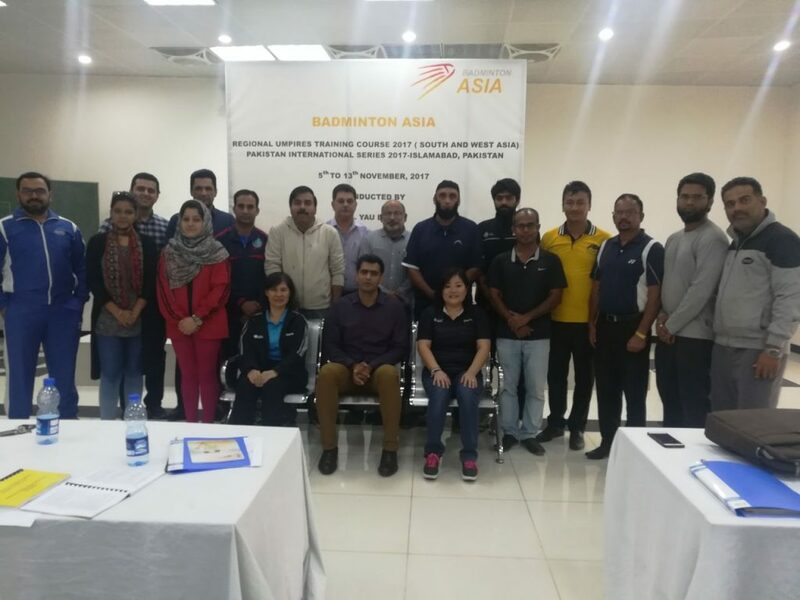 Yau Lin Na (Assessor from Badminton Asia) is conducting this course in which 6 umpires from Pakistan and 5 from Asian countries – Srilanka, Nepal and Iran are participating.